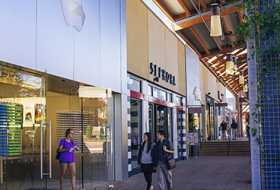 Boulder is just 45 minutes from Denver International Airport, along an easy stretch of highway. So getting here is easy, but narrowing down what to do upon arrival might be a challenge. Take a look at our 5-day sample itinerary for inspiration. Start the day with breakfast at Jill’s Restaurant, with options that range from a hearty bowl of home-cooked oatmeal to decadent dishes like the mocha French toast. This Forbes Travel Guide Four-Star Restaurant is located in the elegant St Julien Hotel and Spa. 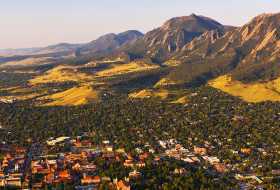 From the second you drive into Boulder, the mountains beckon. 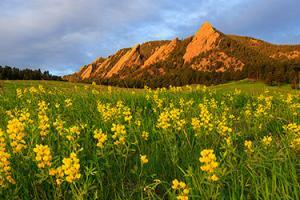 Answer the call at Chautauqua Park, situated at the foot of Boulder’s Flatirons and just steps from the city. Later, grab some of the city’s best southwestern cuisine (think squash-poblano tamales, duck confit tacos and amazing margs) at Zolo Grill, with event space for up to 50 attendees. Unwind at the Rayback Collective, a food truck park that feels like a backyard party with Flatirons views, a huge bar and event space — all in the heart of Boulder. Host a group-dining event at The Kitchen, with mindful, locally sourced and delicious dishes, then opt for drinks Upstairs, a swanky retreat in the same historic building right on Pearl Street. Enjoy a farm-to-table breakfast at Spruce Farm and Fish, located at the luxurious and historic Hotel Boulderado, and choose from four delicious Benedicts or to-die-for omelettes. Visit eTown Hall, where the nationally syndicated eTown radio program is recorded. Willie Nelson, Ziggy Marley and Jack Johnson are just a few of the dozens of musicians who have been guests on eTown. The space doubles as a unique venue, available for meetings and events, and features charming touches like secret passageways, recycled pews for seating and dressing rooms for keynote speakers. 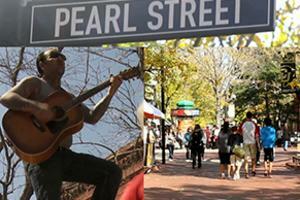 Pearl Street is the heart and soul of Boulder. In the evening, the pedestrian avenue is abuzz with locals meeting friends, strolling and making their way to dinner. Explore four car-free blocks of shops, bars, restaurants, coffee shops and galleries set in historic buildings. Relish in the new day with a breakfast tea and a hearty morning meal at Boulder Dushanbe Teahouse, a beautifully ornate Persian teahouse that was gifted to Boulder by its sister city in Tajikistan. Next door to the teahouse is the Boulder Museum of Contemporary Art (BMoCA), always worth a stop to see the latest thought-provoking installation — and a great option for a meeting or mixer. Head to the Dairy Arts Center, a beautifully renovated performing arts center and gallery that hosts multiple theater, dance and musical productions every week. Perfect for late dining, Boulder’s café/cocktail bar/neo-bistro Emmerson features creative food fusions and even a mobile-interactive cocktail menu with vintage, heavy metal artwork. 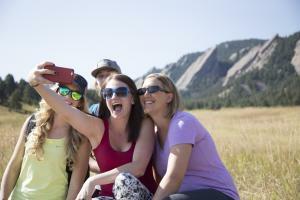 Prepare for the day with a hot and savory twist on the classic American breakfast at Snooze A.M. Eatery or pick a breakfast spot from this itinerary inspired by a Top Chef episode that was filmed in Boulder. Plan a road or mountain biking excursion for your group on a few of Boulder’s 300+ miles of bike lanes, routes and trails. 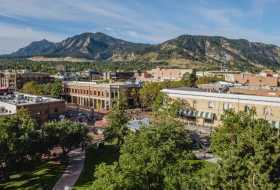 Boulder has the most breweries per capita of any city in the U.S., so be sure to unwind with a little post-meeting entertainment and nightlife fun at one of Boulder’s two-dozen craft breweries. A morning cup of ambition just tastes better with mountain views. Plan for a pre-meeting fuel-up on the patio at one of Boulder’s local coffee shops. Take a Celestial Seasonings Tea Company tour and see where eight million tea bags are produced daily. Groups can walk through the art gallery, sample flavorful teas and experience the factory’s famous and fragrant mint room. Host a late-afternoon meeting or mixer at Rembrandt Yard, an upscale, hybrid art gallery/event space with views of Boulder and the Flatirons. Catch a concert at the historic Boulder Theater, with its iconic marquee and art deco architecture. You can even treat your group like VIPS and work with the owners to section off a part of the theater just for your group. Plan a group skiing or snowshoeing activity at Eldora Mountain Ski Resort, Boulder&apos;s backyard ski resort that’s located about 20 miles away from downtown. Venture about an hour away up to Rocky Mountain National Park for an alpine hike surrounded by dramatic peaks, breathtaking waterfalls, lake-lined valleys and exciting Colorado wilderness.